WHY??? Read all about my changed mind in here. MENTION: If you have troubles installing this mod, please write this into the comments. Do NOT PM me! I won't read these messages! HINT: If you want to support my work, please download this mod @ the AdFly link/file mirror. This would be very nice and this would really help me. NOTE: Follow me on Twitter to get updates on upcoming projects and mod development. 10 different things can happen and they will be taken randomly. This will refill your hunger bar. Yep ... that's all. This will drop 1 or 2 of one of the following food: apple, mushroom stew, cooked porkchop, steak, cooked fish, cake, cooked chicken, bread. There may also spawn a golden apple with a propability of 2%. This will drop 2 - 4 emeralds for trading. This will drop 2 or 3 of one of the following items: ghast tear, gold nugget, blaze powder, magma cream, glistering melon. A friendly tamed wolf will appear and he will help you fighting all those stupid creepers and zombies :3 There may also appear a iron golem with a propability of 1%. This is called "My iron friend". This will drop one leather helmet, chestplate, leggings or boots. Look, I enchanted your tool! This will add to your player a random potion effect for 30 seconds. Possible efffects: regeneration, speed, fire resistance, instant heal, strength, night vision, invisibility. Changes a ore next to you into a diamond ore. Does this mod require ModXYZ??? Why do you post this picture? Please send me the error code with a PM. I won't accept any error code posted in the comments. When do you update your mod? Can I make a mod thread in the forum XYZ of this mod? Yes, you can, but please don't forget to attribute my work. Renamed "GIMMESOMECLOTHES!!" to "GIMME SOME CLOTHES!!" Renamed "I AM HUNGRYAAAH!!" to "I AM HUNGRY!!" "Is that diamond?" - Changes one ore next to you into a diamond ore.
Tools, which are already enchanted, can't be assigned with the "Look, I enchanted your tool!" good. You can't get two times the same good successively. Adding propabilities to the special goods. Iron golem can now be called. Don't look at the bugs ._. 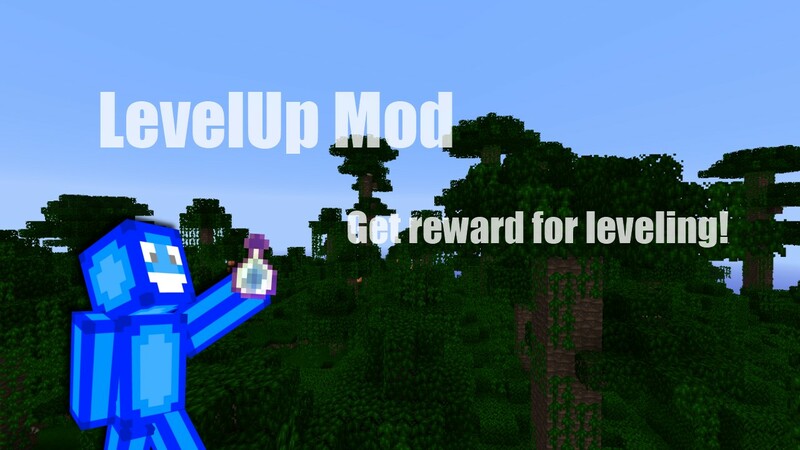 When using this mod, there may appear some bugs, but the propability is very, very, very, very, very, very, very low. I made some error "codes" in hexadecimal order. Just lookup the error number you get. Null pointer exception during "Yummy stuff". Null pointer exception during "Brewing stuff". Null pointer exception during "Reward". If a error appears, tell me! Thanks to GamersDissent for this f*cking amazing spotllight!! There are no requirements for this mod. Think of it: I told it several times. I prefer MagicLauncher. It's useful for installing mods very fast. The program is compatible with any OS and spots conflicts. Just click on the link below to get to the MagicLauncher. Renamed "GIMMESOMECLOTHES!!" into "GIMME SOME CLOTHES!!" Renamed "I AM HUNGRYAHH" into "I AM HUNGRY"
You will be sorry if you don't continue this. 2. I found someone, who continues this mod. 2. Why are all your comments like this? whenever i get potionous its always invisibility and NEVER anything else can you please fix this??? Well, then it's bad luck, there's nothing to fix, sorry :( Try to download this mod again. umm... I feel like a complete and total noob, but where can you download forge? i need it for another mod, and i'm kindof virus-phobic. can i have a safe link? the link that was already there 404'd me. 1. This mod does not require Forge ModLoader / Risugami's ModLoader. oh, i know that, ive downloaded it. remember me? i suggested some instant house *&^%. stupid idea anyway, but i needed forge for explosives+. thanks a million! SWEET MOD! But might I suggest adding nether wart as a possible potion item drop, maybe just a little rarer then rest? Really useful mod! Especial with the wolf gift. It's hard to find wolves. Diamond and i support you by download with ad.fly so awesome mod! Very rarely, when you level up, a Giant spawns that drops a whole bunch of XP upon death. But this must be frickin' rare ... I'm not sure, this seems useless. The sense behind this mod is to gather xp and not give xp. You would still have to fight to get the XP. Giants do lots of damage and have alot of health. It would also make the Giant available in MC. The download Mod under the pics just takes me to the 1.4.2 download. Can you post the 1.4.4 download somewhere? looks cool. now to download. i think it requires nothing :P it says somewhere in the text that it requires nothing! THANK YOU :D finally someone who understood! I deleted the MET-INF folder. what do you mean by magic launcher? well now i try'd that too with the mod and it STILL gives me a black screen after I log in. do you use other mods? You mean for magic launcher or normal minecraft? I still gives me a black screen for normal minecraft AND magic launcher. then i don't have an idea. Well then I guess I have to give up. One last try: you have the latest version of this mod? Depending on the name of the downloaded file. Is it LevelUp_1.4.4?